With the cold winter months upon us, we can usually look forward to many, many days cooped up inside the house because of bad weather outside. There’s also many days when it’s just too cold to send them out, despite having winter jackets, mittens and hats on. We also get quite a few snow days each winter, when school is closed because the roads are too dangerous to risk driving little ones to school. When that happens, we all tend to get a little stir crazy because all of our regular interests have become too boring. That’s why I like to have some art supplies on hand in order to make some winter crafts for kids. It’s a great activity to pass the time, and gives them something to occupy their little hands while I read aloud from a chapter book. Winter crafts are also great alternatives to too much screen time. Playing games on tablets are fine within reason, but I know they can cause bad attitudes in my children when they stay on them for too long. 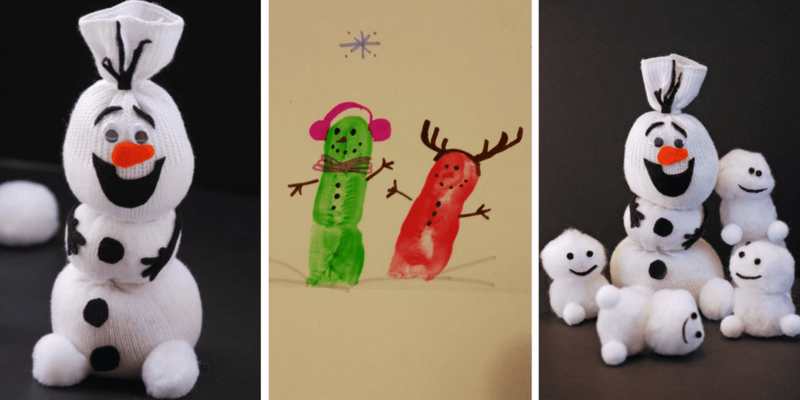 Making a fun craft helps restore cheerful moods, and gives the kids a chance to use their artistic sides! 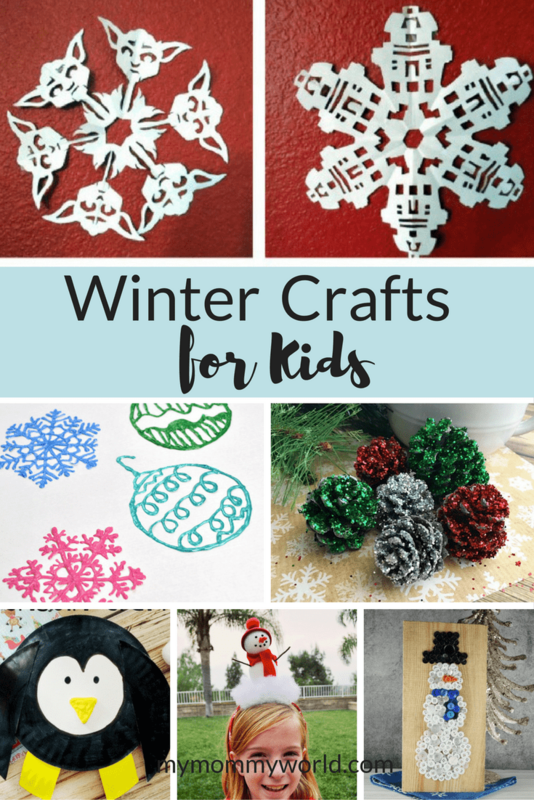 Hopefully you’ll find something in this list of winter craft ideas that your children will love making. I know my son is excited to try the Star Wars snowflakes (and we’ll use them to decorate our windows), and my daughter wants to try out the snowman headband. There’s something on this list for toddlers and big kids alike. So many great ideas. My kids would love to make the Star Wars snowflakes. We can’t wait to try them out too…we are such big Star Wars fans!